As promised, Morpheus has just released an update for LiberTV jailbreak that you can download for your Apple TV running tvOS 11-11.1-11.1.2. In this article, we will describe the new updates in LiberTV 11, compatibility, download LiberTV 11 jailbreak links and future anticipation. 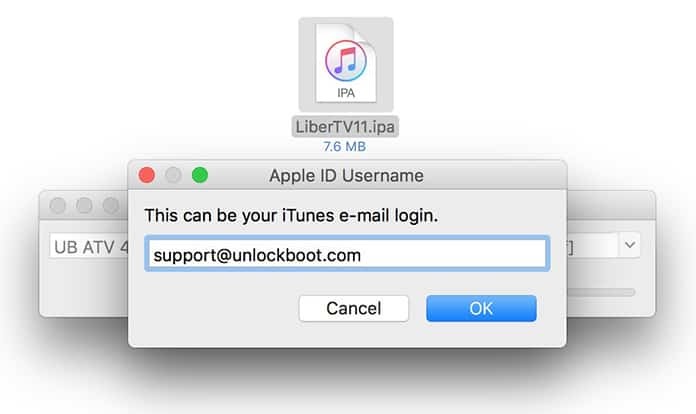 LiberTV 11 is a jailbreak app for Apple TV running tvOS 11-11.1 firmware versions. It is developed by the renowned safety investigator, Jonathan Levin also known as Morpheus. LiberTV 11 has its roots from Beer’s async_wake and employs The Xerub’s KPPless technique through which it helps you own your Apple TV. The plus side to this is that it will never result in kernel panics simply because the KPP bypass tool is removed. In the present, this app is of not much use, especially for an average user. However, the only useful aspect is that of the SSH access, which too is useful for an advanced user. LiberTV 11 can be used with Apple TV 4 and Apple TV 4k only and is not compatible with any other model. All other versions other than this like tvOS 11.2 and 11.2.1 are incompatible. 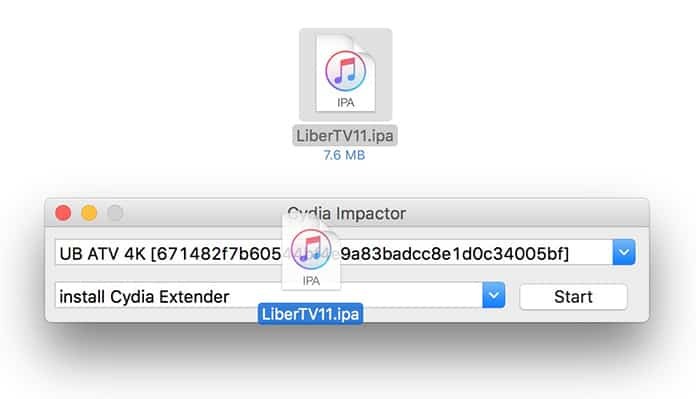 If you want to jailbreak your Apple TV with Libertv 11 app you need to use the ipa file and sideload it on your ATV. You can download LiberTV 11 ipa file from our downloads page here. 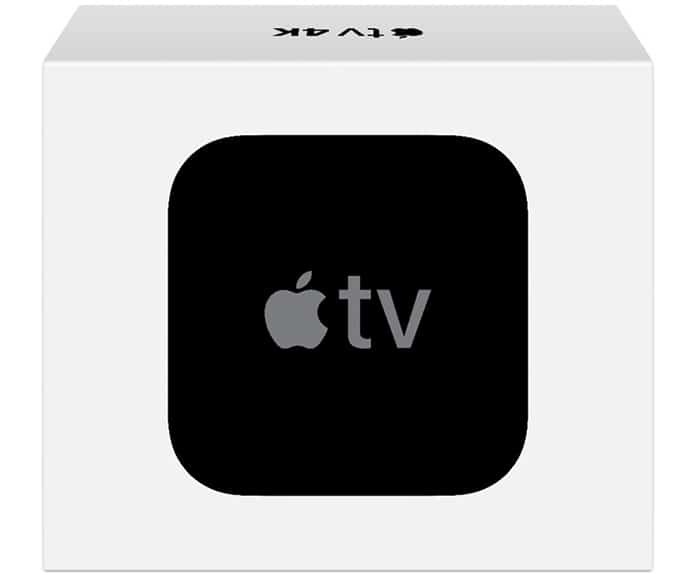 All that you need is an Apple TV device that is compatible, tvOS 11 firmware, a desktop system that is running on both macOS, Windows or Linux and an internet connection. Here is a step by step guide on how to install this jailbreak on tvOS 11 firmware. Step 1: Initiate Cydia Impactor service. Download Cydia Impactor tool now. Step 2: Download the IPA file from the link above and drag this IPA file onto Cydia Impactor’s window. Step 3: The application would now your Apple ID credentials, fill each in the respective fields. 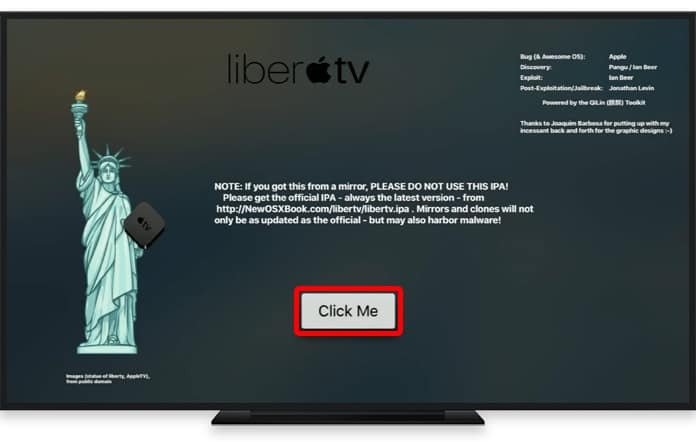 Step 4: After the side load process is complete, start the LiberTV application from the Apple TV interface. Step 5: Press the Click Me button to start the jailbreak process. Step 6: Once done, press OK.
For now this is the latest gizmo out here, however, the developer intends to back port this to the older tvOS versions (tvOS 10.x). Even though some jailbreaks do pre-exist, this one is far more stable as it uses KPPless method. It is anticipated that an arbitrary code will be added to the tool which again would not be useful for the day to day user. Additionally, an update for devices with iOS 11 is also expected, as per Levin the release would be in the next few days only.